Lehigh RARE student, Isabel Amaya, was awarded 1st place in the poster competition at the 2017 Philly Page Phestival. The 2017 Philly Phage Phestival was held on October 21 at Drexel University in Philadelphia, PA. Activities included a keynote talk from Dr. Welkin Pope from the University of Pittsburgh, as well as poster sessions featuring students from nearby SEA-PHAGES institutions (University of the Sciences, Lehigh University and Drexel), and faculty workshops covering the successes and challenges of SEA-PHAGES. 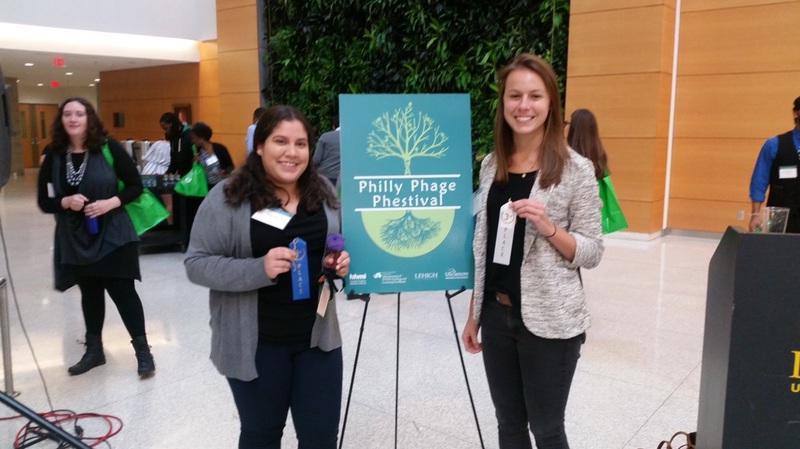 Faculty and staff from three colleges that participate in the SEA-PHAGES program locally, partnered to create the Philly Phage Phestival with funding from a HHMI grant.